In This Scene: White sweaters and horizontal stripes are both difficult to wear, but David Park, a TV producer from LA, does it with ease. When you're layering a sweater over a shirt it's important to get the fit exactly right--neither layer too loose or too tight. Then, to balance a layered tops, go for slimmer bottoms. 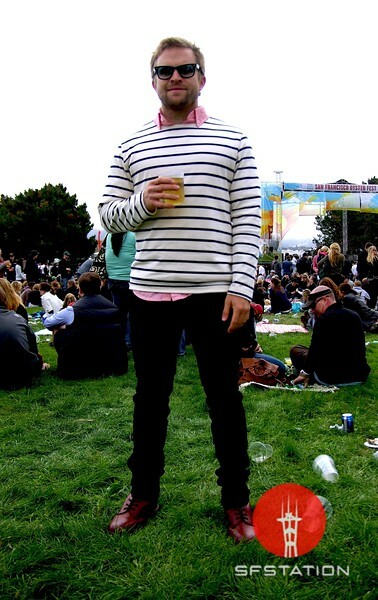 Park looks clean and crisp in his American Apparel outfit, red Dr. Marten boots, and limited edition Ray-Ban's.